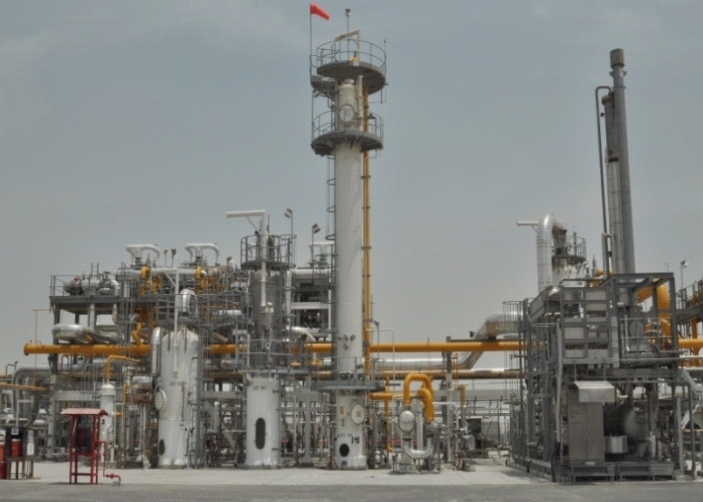 To enhance the performance of the existing gas gathering system Banagas decided to construct a new Compressor Station (No. 9) designed to deliver 65 MMSCFD of dehydrated gas (dew point -20 0F at operating pressure) to the Central Gas Plant. 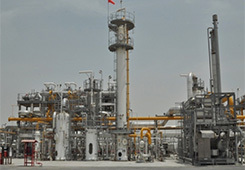 In this Compressor Station the associated gas / Refinery off-gas is received in the inlet scrubber at a pressure of 15-222 psig, processed and compressed to the desired level. 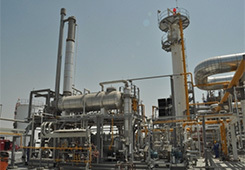 In addition a new blast proof control building was required for the Central Gas Plant. 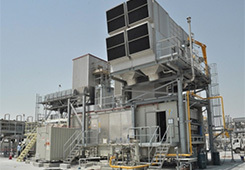 JGC Corporation was the EPC Contractor for this project, MCSC was assigned as the General Contractor for civil, mechanical, electrical, instrumentation and other associated activities. MCSC scope of work includes preparation of green field site, construction of concrete foundations, construction of new blast proof control building, construction of firewater tank, fabrication and installation of piping, and structural steel and equipment erection. Project Duration: 24 Months (Sept 2011 ‐ Aug 2013). Total Man Hours: 1,070,834 (without LTA). Piping Welded ‐ 60,352 inch-dia. Volume of Concrete Poured: 1,933 Cu.M. Area on Concrete Paving: 3831 Sq.M. Blast Proof Control Building: 8070 Sq.ft Area. 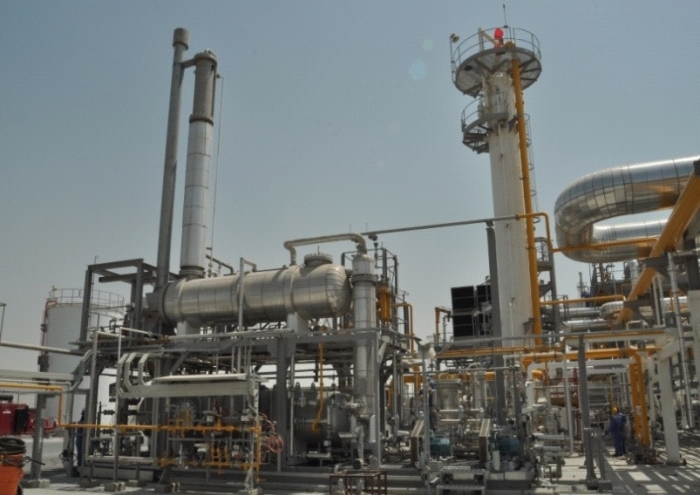 Hydrostatic Pressure Test: 174 Systems. Heavy Equipment Installed: 18 Nos., Max. weight 80T Turbine. Heavy duty Pumps Installed: 5 Nos. Electrical Cabling Works: 24,255 mtrs. Instrument Cabling Works: 31,047 mtrs. Sewage Reticulation System: 394 mtrs., with coated & wrapped CS pipe.